We appreciate your interest in admission to Chicago-Kent. First-year applicants may apply for entry in the fall semester. Students who have enrolled for at least one year at another ABA-approved law school may apply for transfer admission for either the fall or spring semester. Applicants who hold a first degree in law from a non-U.S. law school may apply for admission for the fall semester and may be eligible for advanced standing based on their prior legal study. There is no application fee for 2019 J.D. applicants. Admission to the law school is highly competitive, with many more applicants than seats in the entering class. Students are admitted to the law school based on the information contained in their applications, their admissions test scores (LSAT or GRE), and their undergraduate records. Although the GPA and test scores are important criteria, other qualitative factors are considered. Particular emphasis is given to the nature and rigor of the undergraduate curriculum, writing ability, the personal statement, and letters of recommendation, particularly those from academic sources. Where appropriate, the Admissions Committee will take into account a change in undergraduate majors; a significant improvement in undergraduate grades; the ability to overcome significant personal, economic, or societal obstacles; and demonstrated leadership ability. For applicants who have been out of school for five or more years, significant success in a rigorous graduate program and/or demonstrated excellence in another field may be viewed favorably in the admissions process. Each file is reviewed individually. Applicants for admission to Chicago-Kent must have received a baccalaureate degree from an accredited college or university prior to beginning classes at the law school in mid-August. Any applicant who will not have completed his/her degree before the date that he/she expects to start law school should notify the Office of Admissions, in writing, as soon as this fact is known. View Dates & Deadlines for additional information about the application cycle. Are you preparing to take the LSAT? 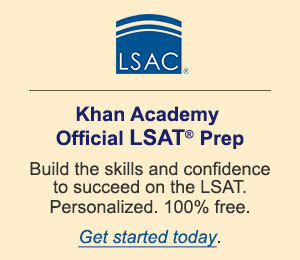 Be sure to check out LSAC's free LSAT preparation course. Learn more below.